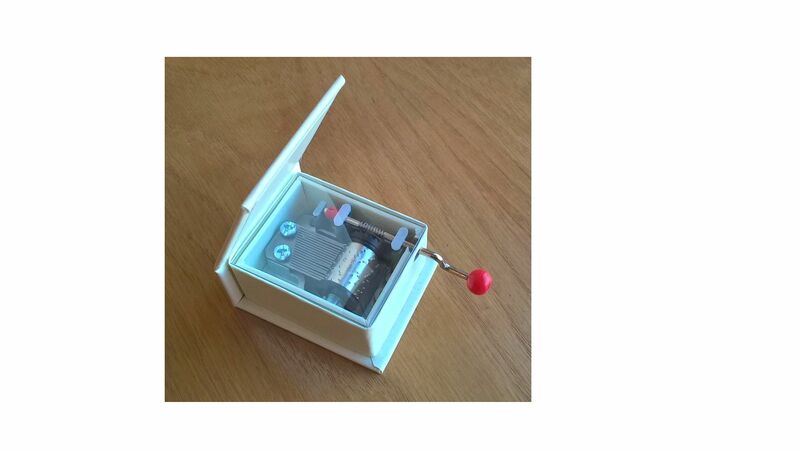 New for 2017 these mini music boxes are fitted with an 18 note hand cranked musical movement. 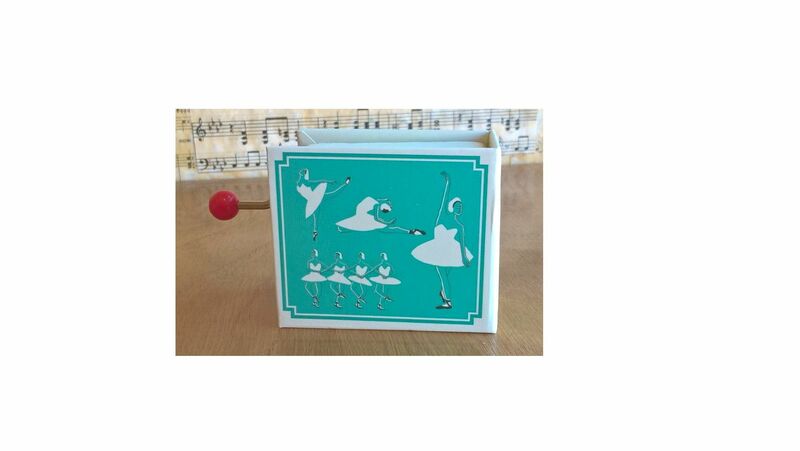 The movement is fitted within a hard card box case that is decorated with pictures from 'Swan Lake'. When the lid is lifted you can see the musical movement fitted beneath a clear cover. To make the musical movement play the handle needs to be turned. When you stop turning the handle the music will stop. 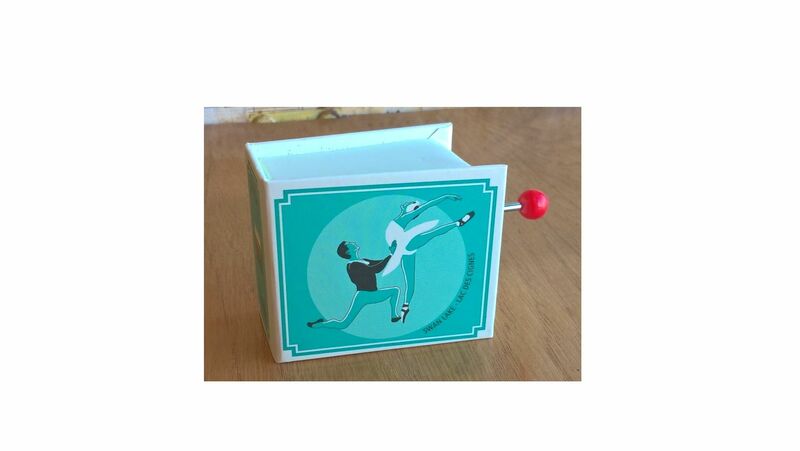 The musical movement fitted within this box is 'Swan Lake'.